Reader's Digest Association, 9780794429010, 10pp. 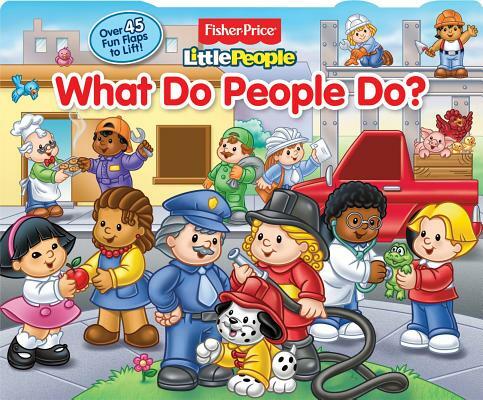 This new title in the wildly popular Fisher-Price Little People Lift-the-Flap book series features jobs people do. Firefighters, police officers, doctors, and teachers--these are the important jobs that people do every day. Join Eddie and his friends as they learn what each job entails. Busy scenes, lots of word labels, and more than 40 surprise flaps will keep kids coming back again and again.